Janessa Leone, part of Shopbop's ONE by collection. ONE by is home to exceptional pieces that represent the top of their categories. 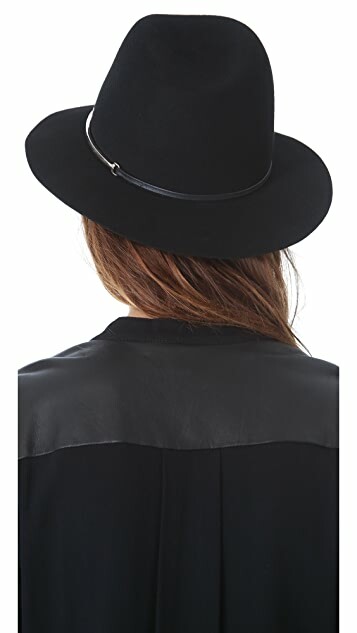 A gold-tone accent details the band on this felt fedora, lending a touch of bright contrast. Size Medium. I receive compliments every time I wear this (which is often). 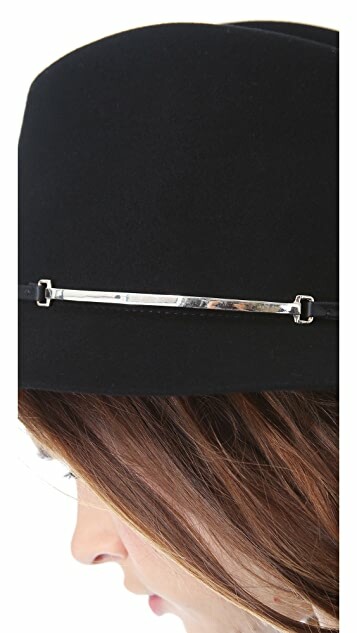 It has a wider brim then the picture shows which I love because it is the perfect style for this season. 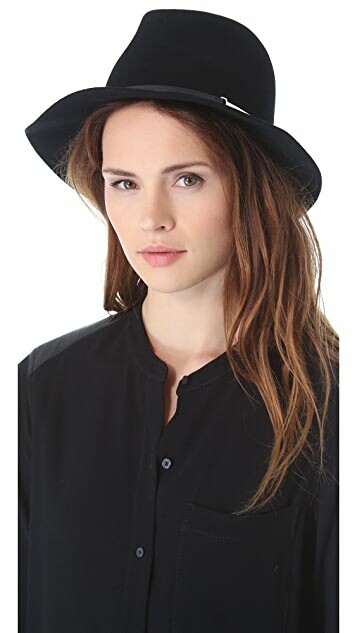 If you want an accessory to add an instant cool factor- get this hat now!